Man, where does the time go?! I have, yet again, been all over the place. And this is just the beginning! I love when design and travel combine aka match made in heaven! I'm going to be in NYC the rest of the week & end taking the city in. 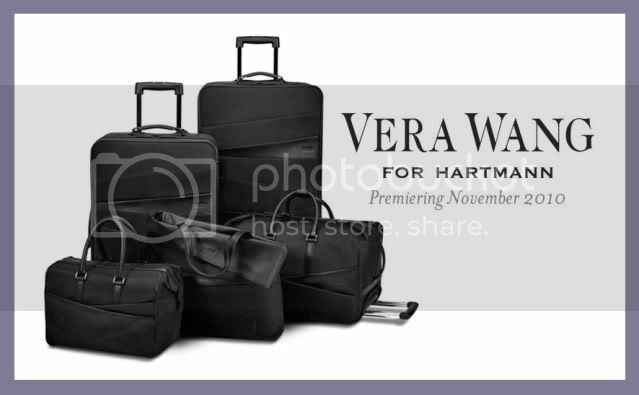 Hartmann is hosting a wicked launch party for our Vera Wang for Hartmann Collection and needless to say, I am very excited! The luggage is so chic and modern! I hope all you editors out there are prepared because once the world takes a peek at the collection, especially in person...they are going to want it. I know I'm all over it! haha. I'm also going to be trotting around town with some of my Tennessee transplants, which is perfect timing considering the seasonal change. It will be good to collect some new inspiration from the surroundings. Feel free to give me a ring if you would like to meet up to talk shop or business! MoMa anyone?